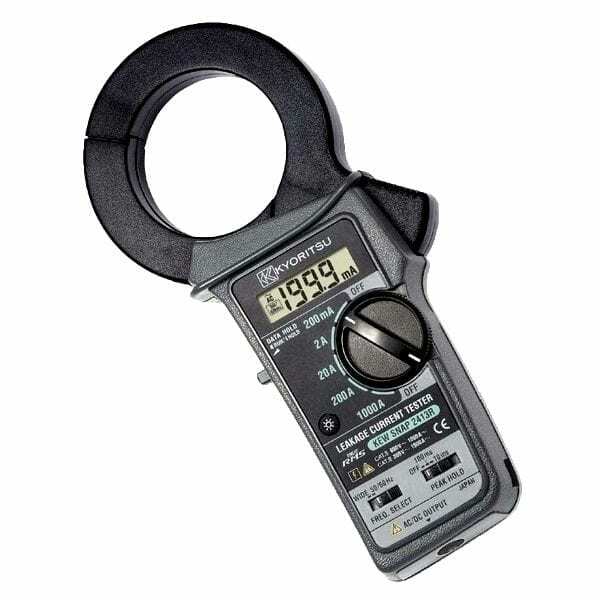 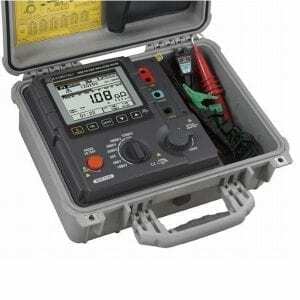 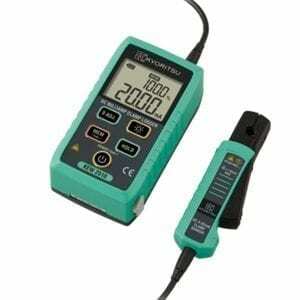 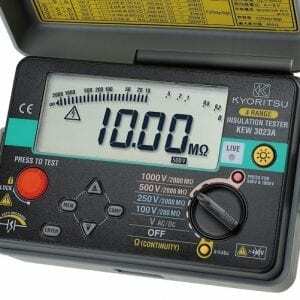 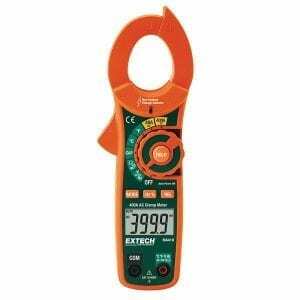 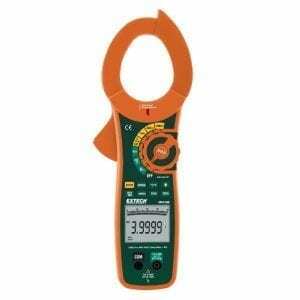 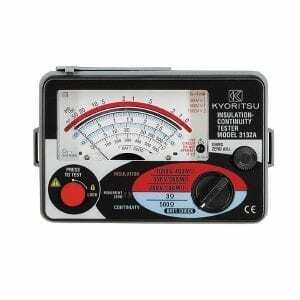 The Kyoritsu 2413R is 1000A True RMS AC clampmeter, that is also able to measure leakage current. 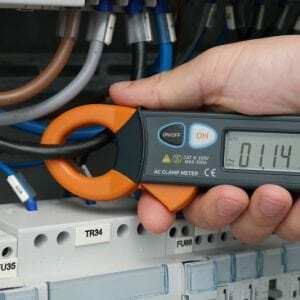 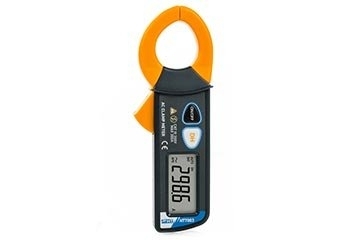 It has extra wide 68mm opening jaws which provides it with the ability to clamp on all three or four phase wires to measure the total leakage current measurement. 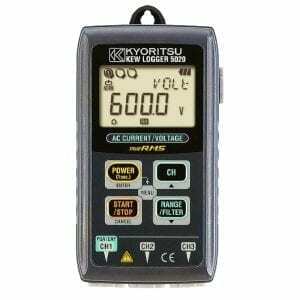 The Kyoritsu 2413R has five scales (200mA/2/20/200A/1000A) and features a frequency selector switch to eliminate the effect of harmonics, providing a more accurate measurement, particularly at the lower end of the current scale. 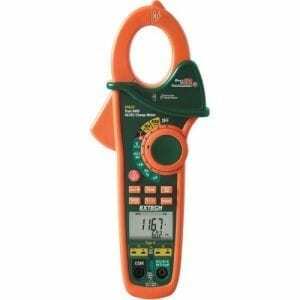 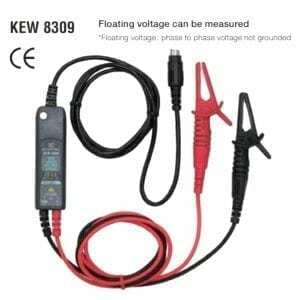 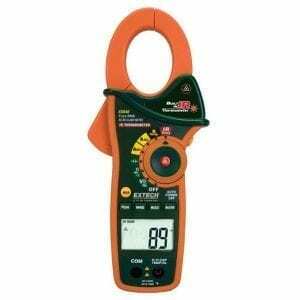 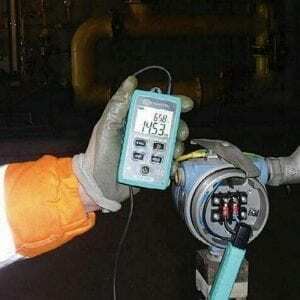 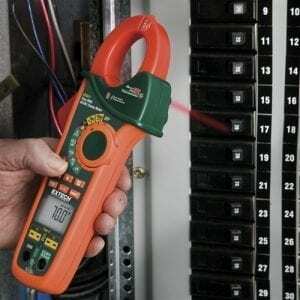 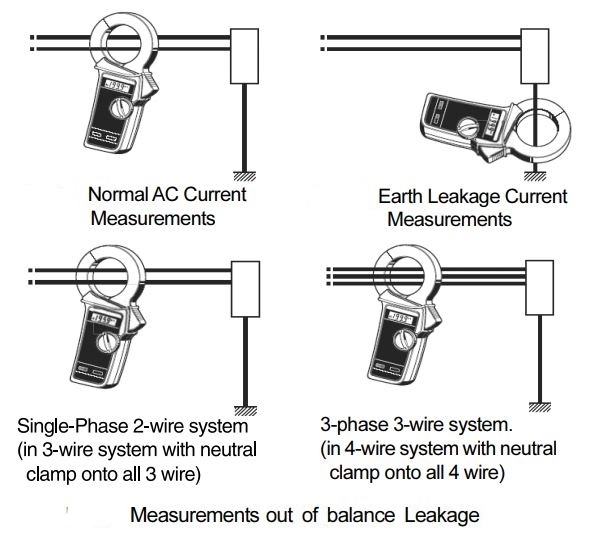 • Able to clamp on all three or four wires (3 phases) together for leakage current measurement. 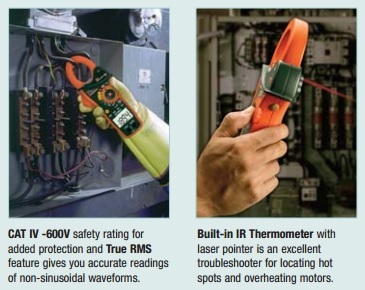 • True RMS enables an accurate measurement for distorted waveforms. 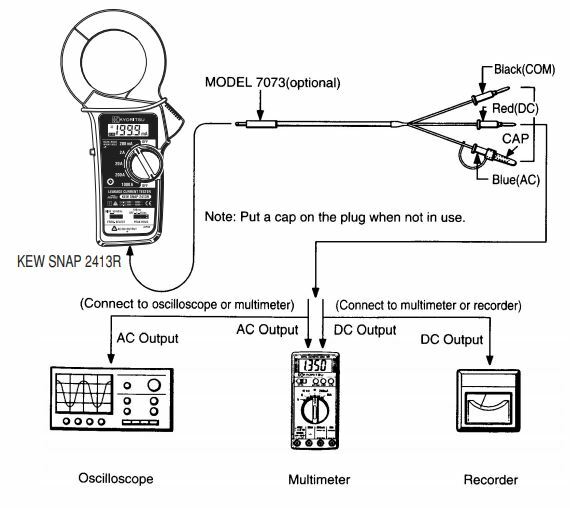 • Frequency filter switch to eliminate the effect of the harmonics. 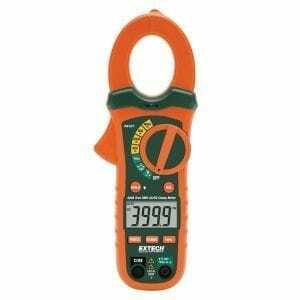 • Minimises the effects of stray magnetic fields. 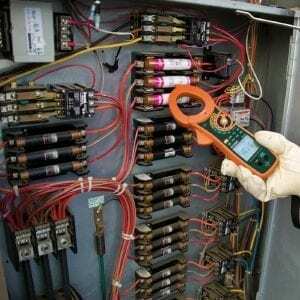 • Rotary switch for easy one finger operation. 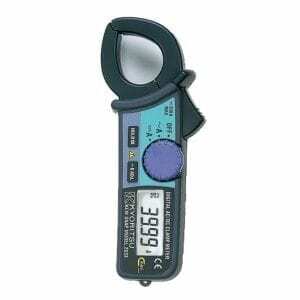 • LCD screen with backlight.